Nearly 10 years ago, in 2007, Stephenson et al. published a nomogram that predicted the probability of success of salvage radiation therapy (SRT) after post-prostatectomy biochemical failure. Biochemical failure was defined as a PSA ≥ 0.2 ng/ml. The Memorial Sloan-Kettering Cancer Center has made the nomogram publicly available at this link. But those data were put together before ultrasensitive PSA tests became widely available, and before three randomized clinical trials demonstrated an advantage to adjuvant radiation over waiting. Several studies now suggest (see this link) that early salvage may provide the same benefit as adjuvant radiation therapy, but with less risk of over-treatment. Tendulkar et al. have now updated the Stephenson nomogram. The original nomogram was based on 1,540 patients treated between 1987 and 2005 at 17 tertiary care facilities. All patients had a confirmed PSA ≥ 0.2 ng/ml before SRT. Outcomes were based on 6-year progression-free probability after SRT. The updated nomogram is based on 2,460 patients treated between 1987 and 2013 at 10 academic medical centers. It included post-operative, ultrasensitive PSA test results for some (18 percent) of the patients, but only 18 patients were treated at a PSA ≤ 0.05 ng/ml. The new nomogram predicts 5- and 10-year probability of freedom from biochemical failure (PSA ≥ 0.2 ng/ml) after SRT. The authors also constructed a nomogram that predicts 5- and 10-year probability of incidence of metastasis. Their model has a predictive accuracy of about 68 percent for freedom from biochemical failure, and 74 percent for incidence of metastasis. As an example, take the case of a man who, after his prostatectomy, had a Gleason score of 9 (= 90 points), seminal vesicle invasion (= 24 points), margins were negative (= 27 points), PSA before SRT was 0.5 ng/ml (= 25 points), and his radiation oncologist plans on treating him with a dose of 65 Gy (= 17 points) without ADT (= 49 points). His total score is 90 + 24 + 27 + 25 + 17 + 49 = 232. This corresponds to about a 15 percent probability of success. The doctor and his patient probably would not consider this SRT treatment, given the risk of adverse side effects. Now let’s suppose the same man is treated earlier, when his PSA is only 0.05 ng/ml (= 2.5 points) and his radiation oncologist proposes a dose of 70 Gy (= 0 points) with ADT beginning 2 months before SRT (= 0 points). His total score is therefore 90 + 24 + 27 + 2.5 + 0 + 0= 143.5. This corresponds to about a 55 percent probability of success. This SRT treatment is a lot more tempting. Because of database limitations, the authors could not incorporate PSA doubling time or increases in their model. They also could not include the duration of ADT use or more precise radiation dosage. With more data, a genomic classifier (Decipher®) also might improve the predictive accuracy of their model. Together with other factors like co-morbidities, risk of adverse effects and life expectancy, this nomogram should prove useful in helping the patient and doctor decide whether SRT is worthwhile. Editorial note: This commentary was written for The ”New” Prostate Cancer InfoLink by Allen Edel. Should it not be reversed? Yes. You are correct. The earlier error has now been corrected. No – It should not be reversed! Don’t forget that the whole purpose of this nomogram is to see whether SRT is likely to be successful. It won’t be successful if the cancer is already systemic. It will only be successful if the cancer is only local. A positive surgical margin is convincing evidence that the cancer is local. If the PSA was high enough, they would use a bone scan or other imaging to provide some assurance that the cancer has not planted itself at some distant location too – a distant met would indicate that it is systemic. With those facts in hand, SRT is much more likely to be successful. OK. The first table has now been re-revised back to its original form! Sorry about the confusion folks. Sometimes the technical details can get even your sitemaster all confused! You’re forgiven, Sitemaster. This is tricky stuff for all of us. I don’t think anyone can ace it constantly, though you come very close, and we’re grateful! What about total point values less than 100? Is there evidence for greater than 70% chance of recurrence-free survival? Their nomogram for 10-year freedom from biochemical failure only goes as low as 70%. Even with this sample size, their 10-year data runs out at the extremes. Their 5-year data (which I didn’t show) extends into higher probabilities, as high as 90% for a score of 30. Positive margins; what is the PSA cutoff to determine if cancer is possibly systemic? There is no specific PSA cut-off that can be used to tell a doctor or a patient whether or not that specific patient does or doesn’t have systemic prostate cancer prior to actual diagnosis. For starters, the PSA test is not a test that is specific to prostate cancer. However, if a man’s PSA level is less than 1.0 ng/ml before any form of treatment, it would be highly unusual (but not unknown) for that man to be diagnosed with clinically significant prostate cancer. Conversely, any man with a PSA level of 100 ng/ml or more at diagnosis would be at high risk for systemic disease. If — on the other hand — you are referring to PSA levels after first-line, surgical treatment for prostate cancer (which it seems that you might be), any patient with a PSA level that never drops to 0.1 ng/ml or less, or which rises back up to more than 0.2 ng/ml, after surgery is at significant risk for recurrent disease which has the potential to either be or to become systemic. BTW — The Cleveland Clinic now has a more convenient online version of this nomogram on their website. I do not understand why it’s a plus to have positive margins after surgery. I would think it be just the opposite with negative margins being a plus. I was conversing with Mike Scott and he agreed with my thoughts. I had positive margins and PSA < 0.01 ng/ml 3 months after RP. (2) Probability that salvage radiation will be successful after a PSA recurrence or persistence. In the first case, positive margins certainly increase the risk of recurrence. However, in the second case, after PSA is rising or has remained detectable, a positive margin increases the probability that SRT will be successful. 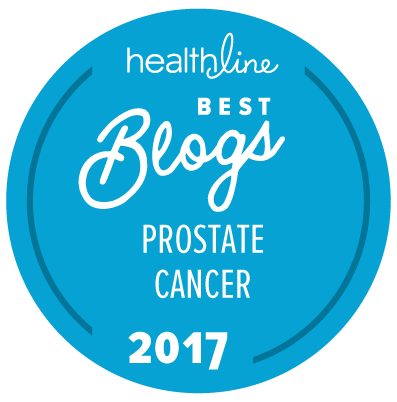 This is because you know with much greater certainty that the recurrence is coming from cancer left behind in the prostate bed, where it can be zapped. When there is no positive margin, there is greater risk that the cancer is already micrometastatic and systemic, and therefore, incurable.